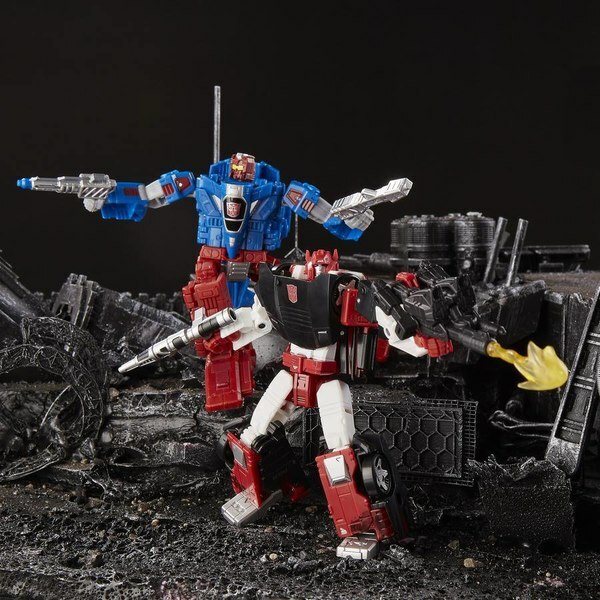 Hey, it's Stardrive from ROM vs. Transformers! 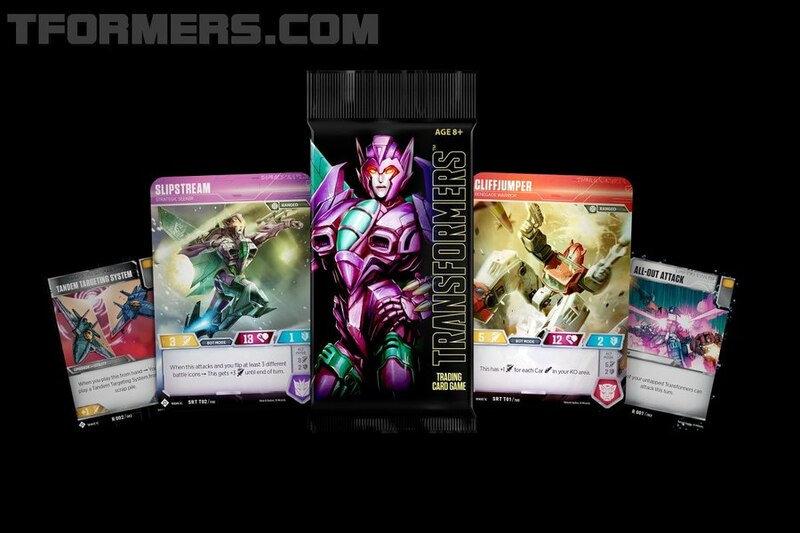 ...and she's working with Prowl. ...and is part Dire Wraith. This will all end well! 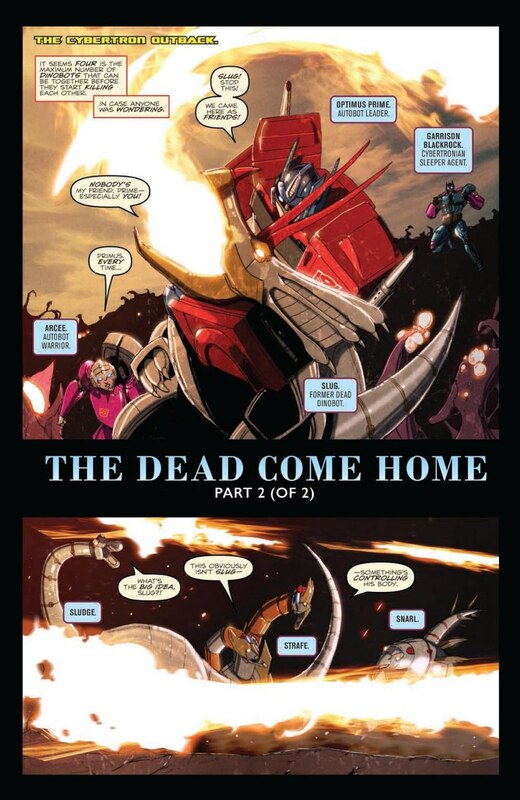 The Dead Come Home (part 2 of 2) is written by John Barber with art by Livio Ramondelli. 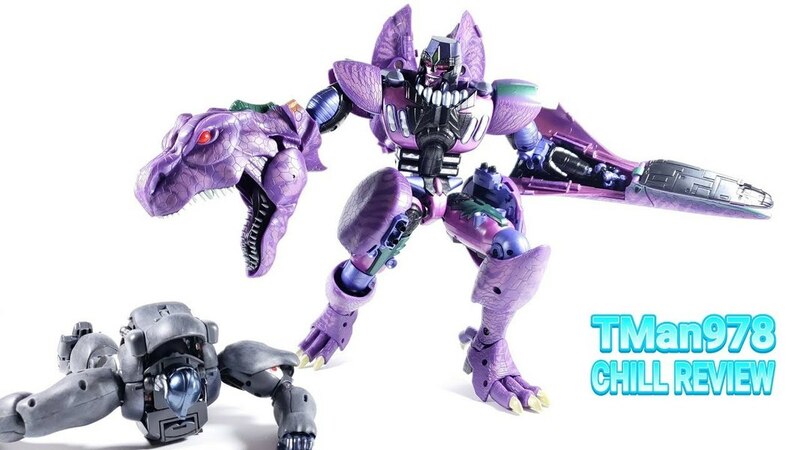 That tease from the end of ROM vs. Transformers didn't take long to pay off. 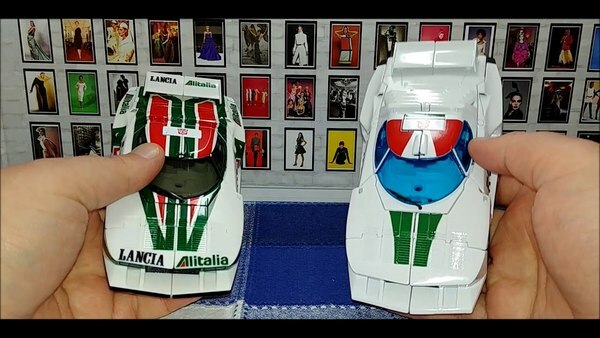 Would love to see Alex Milne do a version of that. Now that it's complete, you can see how The Dead Come Home brings together practically all the threads John Barber has been putting throughout his work for... possibly ever! 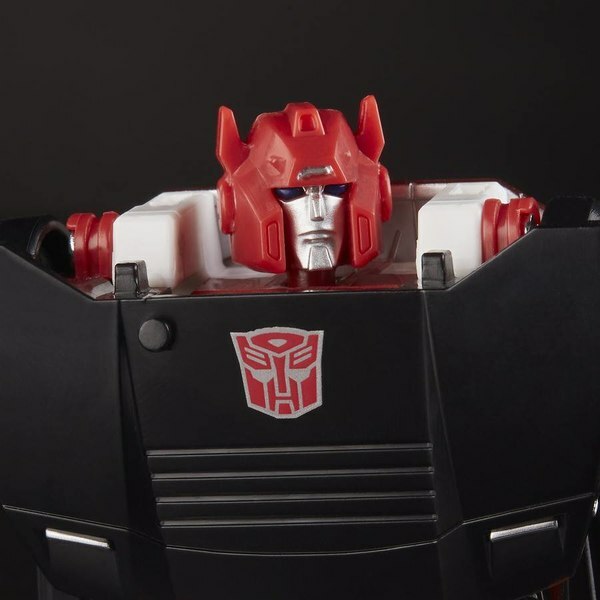 Pretty much everyone and everything he's been playing with is converging: Prowl, Stardrive, the Revolutionaries cast, Trypticon, etc. 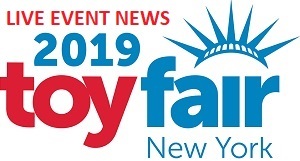 all have parts to play in this story. 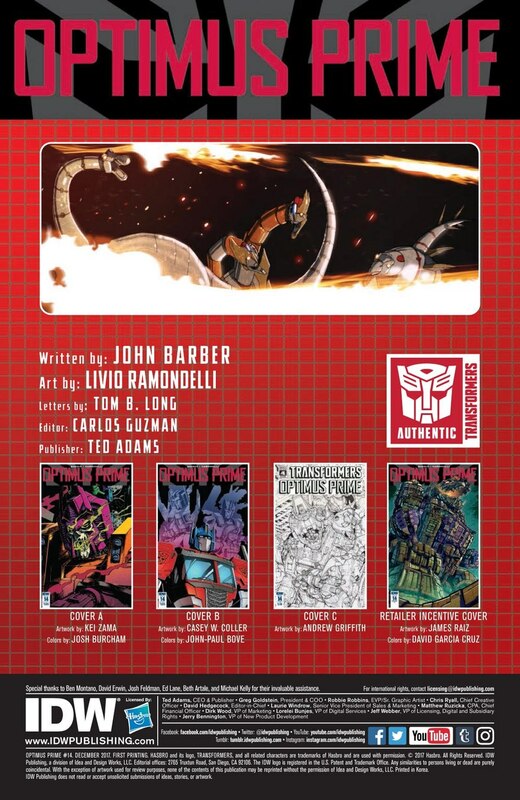 With the solicitations for the Free Comic Book Day Unicron comic, I have to wonder if this is all building to the grand finale of all of Barber's carefully laid plans for (this version of) the IDW Hasbroverse. Whether it is or not, I'm interested to see where it all leads! 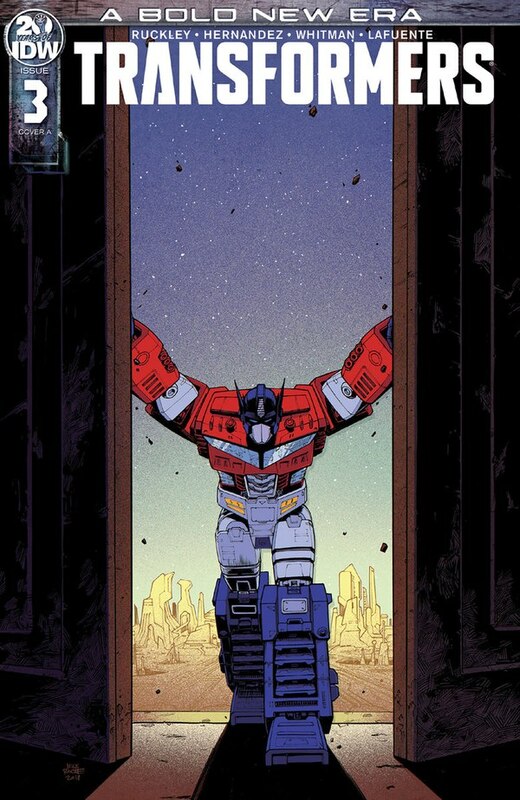 For the moment though, where it leads is to Optimus confronting the Dinobots and finding out what they've been hiding from everyone - and figuring out a way forward that hopefully ends in peace and safety for everyone involved. 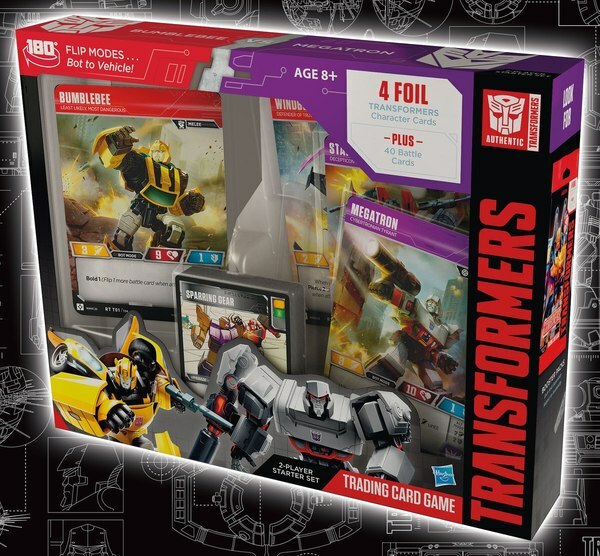 Which, with Dinobots and Sandstorm involved, is a trick! Otherwise... 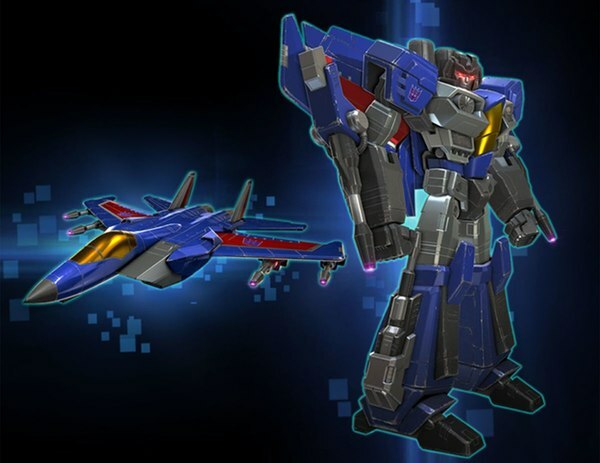 I have to admit that I'm less than thrilled to see Prowl back, and even less so to see Stardrive working with him. 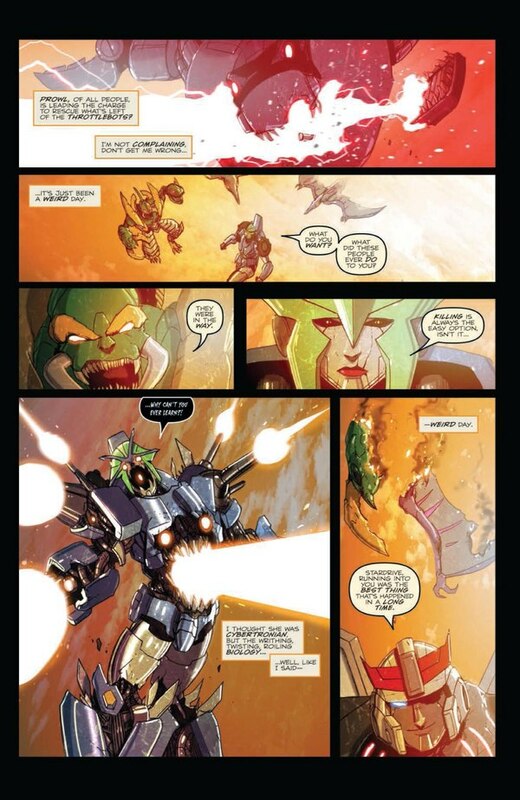 It's almost comical how many bad things in the IDW Transformers universe wound up tied directly to Prowl for a few years there - and this first full issue of his return ties yet another thorn in Prime's side to Prowl. Consistency! 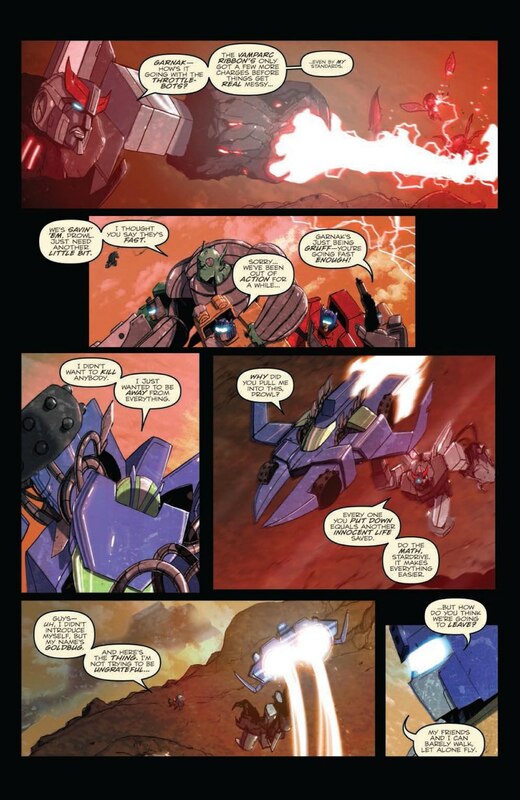 And given that I liked Stardrive in her first appearance, I wish that her (potentially) first contact with Cybertronians since was not with such a bad influence. Still, it was a focus of Stardrive's story was that she had her own moral compass no matter whose company she was keeping at any given moment, so hopefully that continues to hold true. 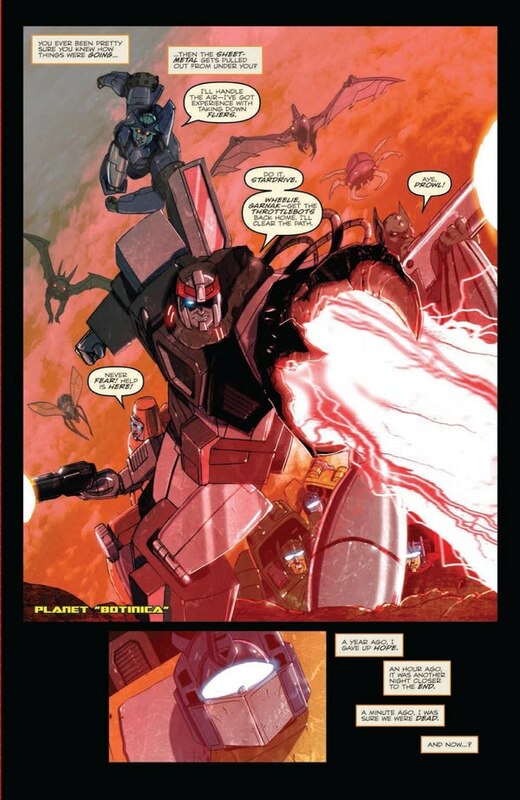 Livio Ramondelli continues on art for this issue, wrapping up story threads he's been working on since at least the Punishment miniseries that featured Sandstorm. 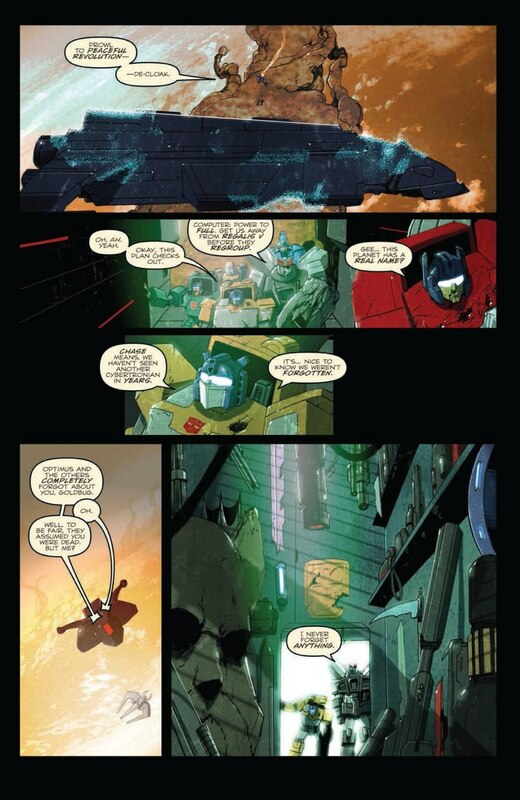 Livio is still Livio - and while I still feel he's overly reliant on color overlays to light and set mood, there are moments where he's willing to largely drop them for effect, as with Stardrive's, er, transformation. 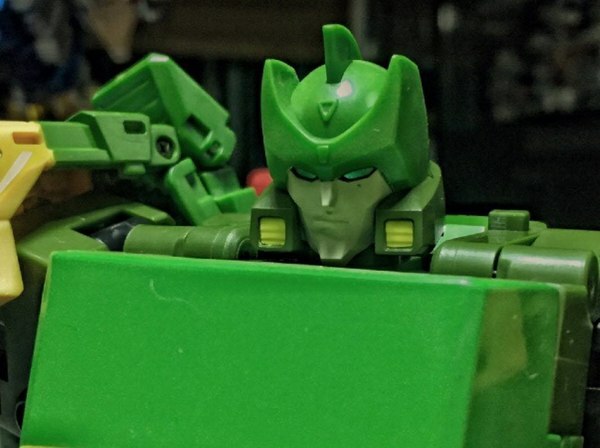 (It's an appropriate word here... but I don't mean a vehicle mode.) I also like some of the facial expressions in this issue, as sometimes Livio's characters seem to be carved out of stone. There's a good bit more life to them here. 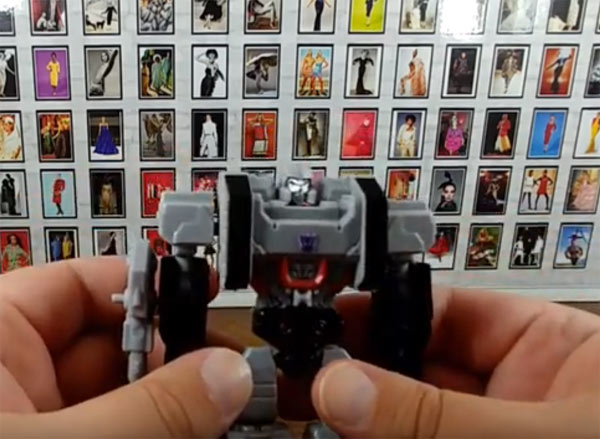 And he seems to have a blast drawing Trypticon. So many great covers this month. Kei Zama draws a portrait of Bludgeon for her cover - and oh wow, do I want to see her do interiors on a book featuring Bludgeon! If there was a ever a character made for her harder style of art, it's the dude with a skull for a face. 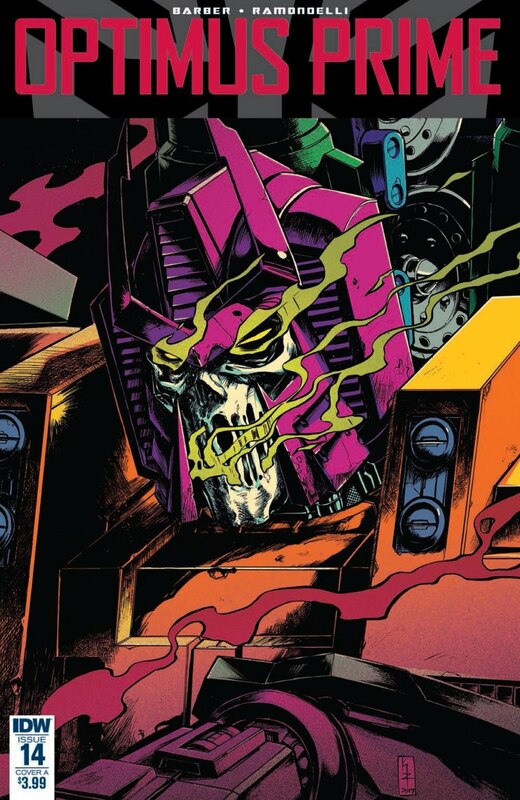 Josh Burcham nails the coloring as always, making the purple and orange of Bludgeon every bit as bold as Zama's lineart. 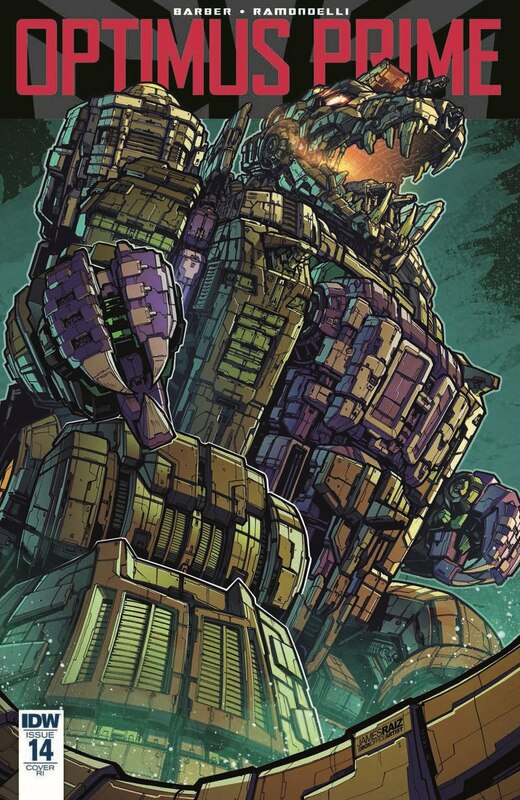 Casey Coller and John-Paul Bove put a great portait of Optimus in the foreground, with a more muted Trypticon silhouette in the background housing characters featured in this issue. 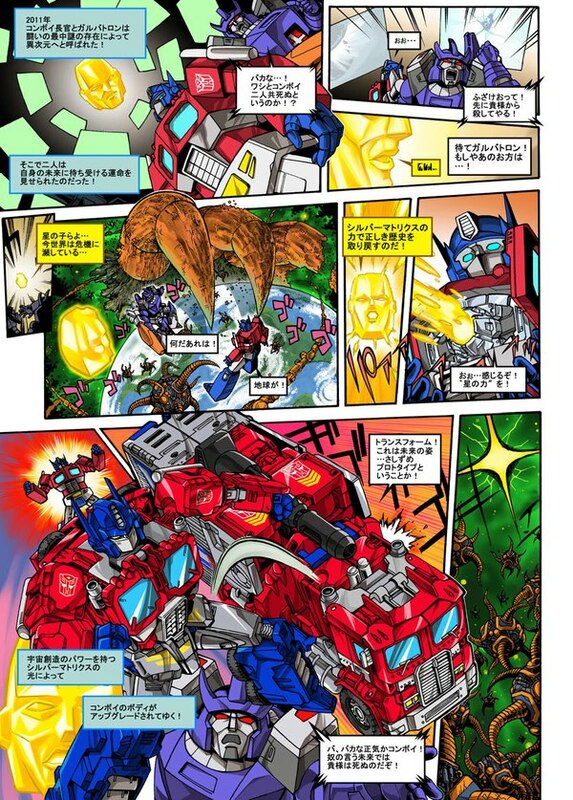 Andrew Griffith does a lineart-only "Artist's Edition" cover featuring the Dinobots in a fight with Trypticon. I've said before that Griffith's lineart reminds me of Syd Mead, with excellent use of line weights and thicknesses, and this is a great example of that. 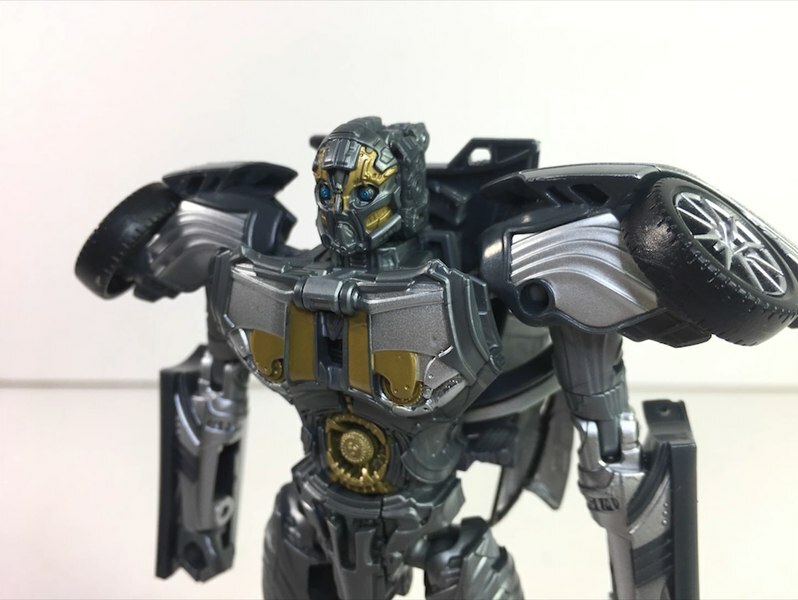 There's no color here and very little shading except for a few solid black shadows, and it's still not difficult to pick out the Dinobots in the foreground at a glance. 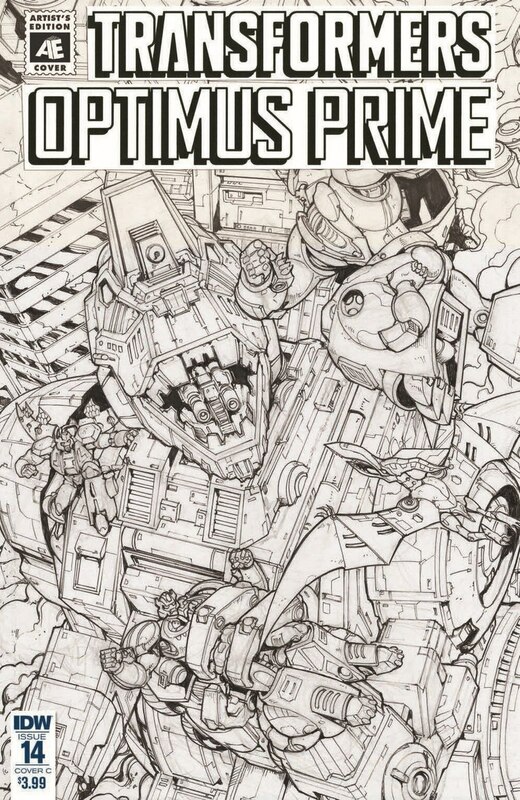 Lastly, James Raiz shows off his own use of line weight on his hyper-detailed Trypticon image. There's a ton of detail on that piece - it must've taken forever. David Garcia-Cruz colors the cover, and makes good use of Raiz' linework to add dramatic lighting. 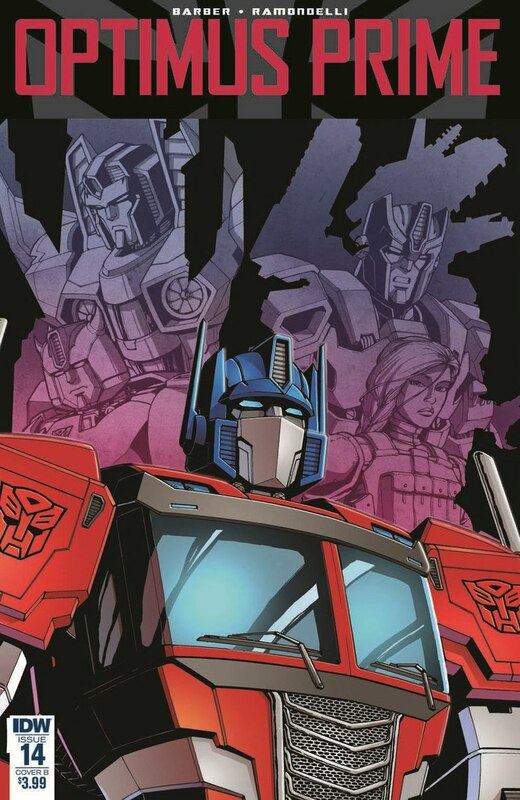 Next month begins a new storyline called "The Falling," whose title sure does add to the feeling that this may be the final chapter in Barber's Robots In Disguise/The Transformers/Optimus Prime story. It should be interesting!